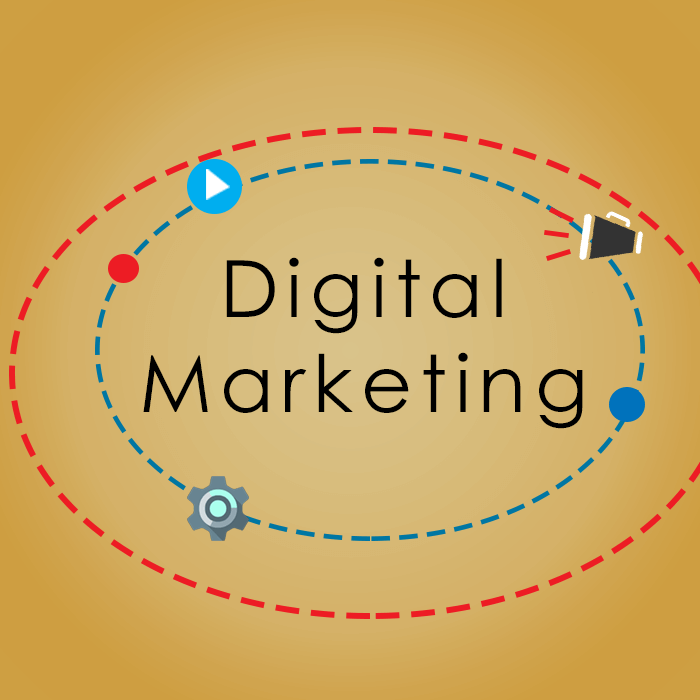 To define the veracity of online marketing and various attributes attached to it, digital marketing is an umbrella term to cover them all. Its a vast canvas to join each dot individually but most of all, its used for business leverage through digital medium, whether its via Search engines like Google, Yahoo, Rediff or any other. Marketing through Social media channels is becoming a widely accepted practice among marketers. Facebook marketing, Twitter marketing, YouTube marketing, LinkedIn marketing, Google Adsense are few examples of the services that are available for online businesses to connect and engage with the target customers. More than traditional marketing techniques social media has wider and. Larger scope as in last few years we have seen a tremendous shift from real to virtual world especially in marketing and advertising industry. Although Buying followers or Buying likes on social channels is not yet a complete solution to get response from the desired audiences but still such services are quite easily available to boost your business on Social media at least. Smart phones and their instant messaging service have added an additional supportive pillar in the name of WhatsApp, due to which the reach is unbelievably quick and almost free of cost. Improved features like Video chat, short videos, sharing images have given a new dimension to the practices that were followed earlier. Now improving on Facebook followers, Twitter followers, Youtube Subscriber, Snapchat followers or Instagram followers is not just a number count rather it reflects the reach of your brand and ensures rate of conversion accordingly. Promotional methods like creating a trending topic across the network using Hashtags, sharing viral content or posting a content to viral are some of the most popular ways to gain attention from the audience at large. Its a common phenomenon being followed frequently for branding and promotional activities. Online forums is another medium of communication to connect with so many people at once with similar interests to share their ideas and opinions. Platforms like Quora, Yahoo answers are few such examples which have grown as a network with questions and answers for and by the people. Blogs that can guide you in some way or the other are holding a strong position in the arena of digital marketing. Adding the right Keywords can be done with in-depth keyword research for better ranking and has few factors to look at such as keyword proximity, keyword density and keyword stemming. Basically means placement of the keyword on the web page, total number of keywords and grouping of keywords with exact match or varied keywords as well, respectively. Online Advertising and marketing services are flourishing magnanimously, even the Media Ad spending on traditional mediums is way less than what it used to be. Whereas, the budget of Digital Ad Spend seems to have expanded multiple times and the reason is quite simple. What you spend there gets a much more broader and larger reach than any other. Whether they are Google ads or Facebook ads, it simply works on Pay Per Click depending upon the Clickthrough rate of a particular ad. Don’t be confused between the both, Cost Per Click is a method in which a specific amount of fee is paid to websites like Google and Facebook to direct traffic to a particular site. While Cost Per Acquisition represents a ratio of the total cost of PPC campaigns and the total number of leads converted, also known as conversion cost. Apart from social media marketing, Search Engine Optimisation is a major part of digital marketing, which has been there since the beginning and is going to remain a relevant and essential branch. When it about B2B marketing or B2C marketing, as per the nature of product and services of the company, SEO is an effective method to enhance the ranking of the service not the search engine to generate high-quality leads. Indexing of the websites on search engines and directories is depending upon the per-page fee paid, which is often called as Rapid Inclusion. However, PageRank is a method adopted by Google to categorise a website depending upon the popularity from 1 to 10, which basically works on inbound and outbound links associated with the page. For few SEO experts, its an incomplete method of assessment as it does not measure the relative strength of a website. To measure the success of a particular online campaign there various Social media measurement tools such as Buffer, Keyhole, Google Analytics, Hootsuite and many more. Social commerce is the big basket that includes Social media usage that as helped in generation business on e-commerce websites and social interaction as a whole and indirectly making the existence of digital marketing even stronger. Content Marketing, paid search or promotional content, social media channels can primarily be considered in broadening the boundaries, acceptance and circulation of online content whether its text, images, GIFs (Graphics Interchange Format), URLs (Universal/Uniform Resource Locator). Content performance is always measured by using web analytics before and after conducting the campaign. Plus, user reviews on search engines are very much relevant for non-users and in improving your ranking as well as helps in evaluating the problems and complaints registered by the customers. Case Studies and testimonials are also considered while monitoring the result of a campaign before and afterwards by the marketers to take the best step forward in order to achieve improved results. To conduct all the online marketing strategies smoothly you need to be aware and alert about digital privacy and security as it has many possible consequences on your online activities, hence one has to know what’s best in their interest to avoid any legal complication. At the end of any marketing campaign, the percentage of ROI (Return on Investment) generated gives the idea of whether it was a successful attempt or not, for instance if you paid $10 per month for CPC and leads to $100 profit, ROI would automatically reach upto 1000%.